Silverman and her husband are the parents of three daughters (biological) and two sons (adopted from Ethiopia). Their family life is full of drama, questions, chaos, tenderness, messiness, tears, hilarity – and always, always, love and spirituality. Yes, this is a book about international and transracial adoption, but it’s so much more. 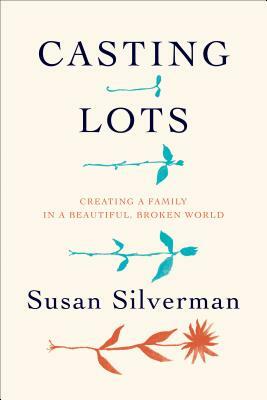 Silverman welcomes readers into her family of origin (which includes the comedian and actor Sarah, with whom she shares a delightfully wicked sense of humor) and the family she created with her husband, Yosef. You’ll feel immediately at home – and in awe that out of such tumult and chaos can come so much love and peace.